Comments: Mary McCaffrey (Nee: Unknown) | Germantown PA United States | | Comments: This photo was taken about 1911. 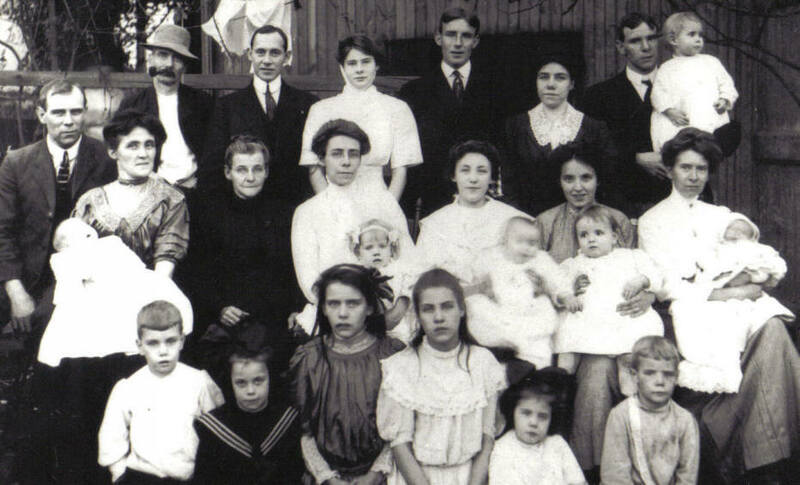 Matilda Bellman McCaffrey is shown with her children, their spouses, and her grandchildren (as well as a nephew). She was the wife of William McCaffrey.